Chet Atkins was playing his guitar when a woman approached him. She said, "That guitar sounds beautiful". Chet immediately quit playing. Staring her in the eyes he asked, "How does it sound now?" The quality of the sound in Chet's case clearly rested with the player, not the instrument, and the quality of music recordings ultimately lies with engineers and producers, not with the gear they use. The 31 engineers and producers interviewed in this book contributed to hundreds of millions of copies of albums and CDs throughout their combined careers. HOW DOES IT SOUND NOW? offers insight for any engineer or aspiring engineer that hopes to achieve similar heights in their profession. A must for the up and coming music producer, plus an excellent reference for the seasoned professional. A comprehsive guide to music production, recording and the ins and outs of the music business. Shows secret recording techniques and studio gear used for creating sound. Tricks of the trade told by Grammy Award winning engineers and producers. Amazing studio photos, charts and descriptions about the essentials needed for an audio engineer and producer to make a proper record. 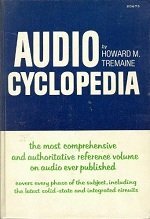 Audio Cyclopedia: The Most Comprehensive and Authoritative Reference Volume on Audio Ever Produced: Covers Every Phase of the Subject, Including the Latest Solid-State and Integrated Circuits. Covering all areas of this essential topic, Audio Metering begins with the basics- audio definitions and digital techniques, and works up to hearing and psychoacoustics. Levels in audio are defined, and the metering standards and practices are discussed, covering the existing standards abs VU and PPM, as well as the new loudness metering standards, making this the reference guide to audio metering. Audio engineers need to master a wide area of topics in order to excel. The Audio Engineering Know It All covers every angle, including digital signal processing, power supply design, microphone and loudspeaker technology as well as audio compression. Handbook for Sound Engineers is the most comprehensive reference available for audio engineers. All audio topics are explored: if you work on anything related to audio you should not be without this book! The 4th edition of this trusted reference has been updated to reflect changes in the industry since the publication of the 3rd edition in 2002 -- including new technologies like software-based recording systems such as Pro Tools and Sound Forge; digital recording using MP3, wave files and others; mobile audio devices such as iPods and MP3 players. Over 40 topics are covered and written by many of the top professionals for their area in the field, including Glen Ballou on interpretation systems, intercoms, assistive listening, and image projection; Ken Pohlmann on compact discs and DVDs; David Miles Huber on MIDI; Dr. Eugene Patronis on amplifier design and outdoor sound systems; Bill Whitlock on audio transformers and preamplifiers; Pat Brown on fundamentals and gain structures; Ray Rayburn on virtual systems and digital interfacing; and Dr. Wolfgang Ahnert on computer-aided sound system design and acoustics for concert halls. This bestselling book introduces you to the principles of sound, perception, audio technology and systems. Providing vital reading for audio students and trainee engineers, this guide is ideal for anyone concerned with audio, sound and recording who wants a really good grounding in theory and industry practice. Now with numerous updates, including a new chapter on sound quality, expanded information on sequencing and synchronization, and updated chapters on digital audio, loudspeakers and mixers. Total Recording' is the complete and comprehensive guide to audio production and engineering musical recordings in all genres. Written by Grammy-nominated recording engineer/composer/ author/industry consultant/researcher/guru Dave Moulton, it's the product of over three decades worth of professional experience. Along with its companion CD of audio examples, this thoroughly current package is chock-full of in-depth information for professionals and students alike about the entire recording process, including: - Studio and control room design for project studios to commercial facilities - Microphone selection and set-up - Recording techniques - Equipment and how to use it effectively: mics, amps, compressors, gates, equalizers, signal processors, speakers, etc.-both hardware and software - Audio software - Surround sound - Using MIDI musically - Mixing boards - Studio acoustics and psychoacoustics - Practical electronics for engineers and musicians - Mixing techniques - Studio procedures - A new approach to acoustics - Analog and digital audio....And many more unique and extremely interesting perspectives, including sections on hearing damage, the microphone as an ear, stereo and surround sound, psychoacoustics, and a wide variety of recording production techniques. An excellent and thorough resource that you will find yourself turning to repeatedly, 'Total Recording' is a must-have reference for every serious recording musician, engineer, and producer. Do you have content, to add, about Industry related Books or associated topics? Please feel free to Share it, here!